Topo Athletic has evolved quite a bit in the few short years since their inception late in 2012. Their first offerings were Tabi style shoes that featured a separated big toe. Pete has a great intro into Topo and his thoughts on the original Tabi versions in his review of the MT. My history with Topo is similar. I tried on the RT a while back, but just couldn’t bring myself to run in them. I had an extensive history with Vibram FiveFingers in my early running years, even running my first marathon in a pair of KSOs, so I’m not one to turn away from a product just because it’s different. I’ve run in the now discontinued M-ST, which was Topo’s first non-tabi road shoe, and also ran in the original MT. 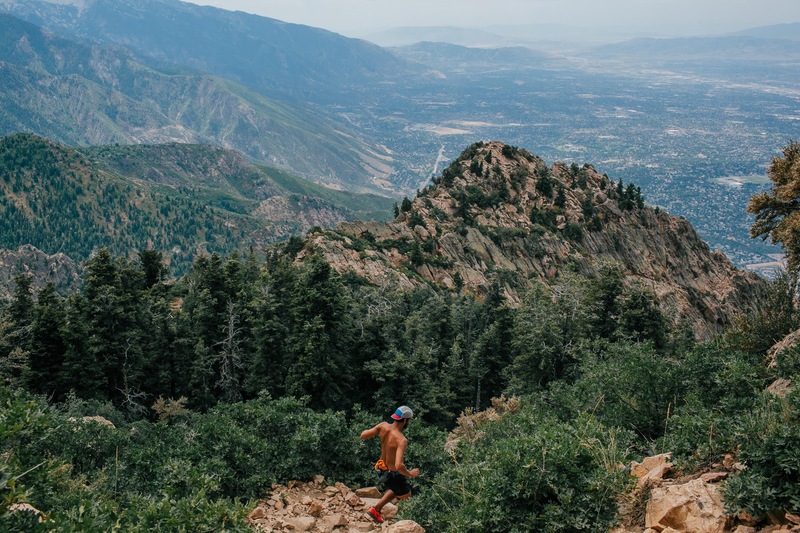 Fast forward a year and Topo has made some big improvements, and the Runventure is a great example of a company listening to feedback and making great improvements to their products. Disclosure: These shoes were provided by Topo Athletic for my review. Topo’s snugger heel and midfoot with a medium/wide toebox is a nice combo. Also notice eyelet cord loops which are a great change from the MT. The upper feel was nice on the MT with Topo’s medium to wide-ish toebox, but the fit was not that secure, and there was way too much volume for my feet. Additionally, the upper just seemed too thin to really hold the foot well for anything but mellow trail. The Runventure pretty much rectifies any issue I had with the MT upper. It feels lower volume in the midfoot and heel, and they swapped out the long fabric ghille loops for small cord loops that the laces run through. The result is that I can snug down the shoe really well, and there are no pressure points due to proper placement of the cord loops and tongue padding. The rest of the upper is very well executed, with a durable mesh and strong overlays that serve to secure the midfoot and also rand the entire shoe (big kudos for that). The interior is also lined 3/4 of the way, which creates a very nice sock-free environment. The arch area on Topos is still a little off to me for some reason. I can alleviate it a bit by removing the arch area out of the footbed, but I also feel that it is somewhat due the shape of the midsole, which is pretty straight from heel to toe, and I think the arch area is a little too wide for my foot so it sits on the midfoot area of the midsole a little. 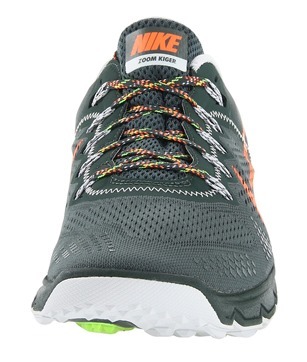 That said, it doesn’t cause major problems, and otherwise the Runventure upper is one of the best on the market, which is amazing since this shoe comes so shortly after the MT; Topo knows how to listen and improve their product quickly. Great upper design with overlays in the right spots and a wonderful, lightweight rand. Midsole is there, but doesn’t really add much. Also of note is that the black section of the midsole is actually up on the side of the foot creating a bathtub effect in the forefoot, something I don’t care for. Hmmm, well without being too harsh, the ride on the Runventure is pretty mediocre. My feeling is that this is mostly due to the use of compressed EVA which, while protective, just doesn’t offer any liveliness to the ride or fluidity to the running experience. If the shoe is minimal enough, this matters less (and the Topo Tribute shows this in some ways), but for a 9 oz shoe, I think the midsole is a pretty important component. I’ve been stumped by the use of compressed EVA in trail shoes (less common in road shoes) for quite some time, and aside from a few exceptions that are also minimal (Merrel Ascend Glove for one), compressed eva has detracted from some shoes that I’d otherwise have enjoyed quite a bit more (e.g., the inov-8 Race Ultra 270 and the Salomon Sense series). Great design on those shoes, but pretty sub-par midsole material and ride. 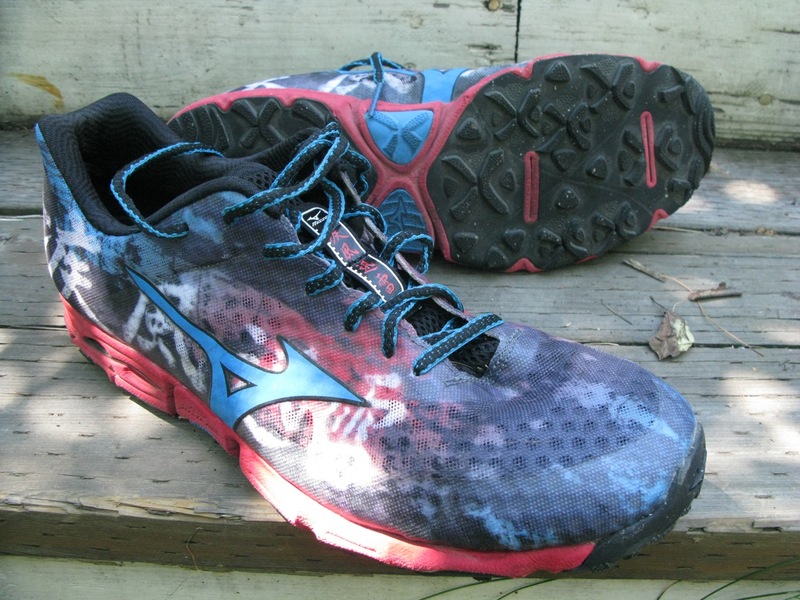 The biggest thing I’d change on the Runventure is to have a responsive, injected EVA for the midsole. I think it would transform the shoe, which is otherwise very well done. One big addition to the Runventure midsole from the MT is a full length TPU rock plate. This helps quite a bit in protection and providing some additional precision to the ride, and was a good move. Overall, the ride of the Runventure is pretty minimal and firm, like a slightly more protective Merrell Ascend Glove or Bare Access. If you like a minimalistic feel and ride, you won’t be disappointed, but I think this alienates a good share of the market who are looking for a light and fast feel with a little forgiveness and response to the midsole (recently, adidas XT Boost is a great example at a very similar weight to Runventure; midsole material is a big deal). Pretty no nonsense outsole that serves its purpose. Carbon fiber looking slits (actually TPU) are the rock plate showing through. The outsole is a carryover from the MT and also is the same as the recently released MT-2. I actually like the outsole quite a bit. It is a general purpose trail outsole composed of a fairly durable compound that is still decent enough on rock, but has a nice low profile lug design that doesn’t get in the way on dry trails. It’s not going to be fantastic in mud or very loose terrain, but with a low to the ground midsole and secure fit, I didn’t find it prohibitive off trail and on technical sections. 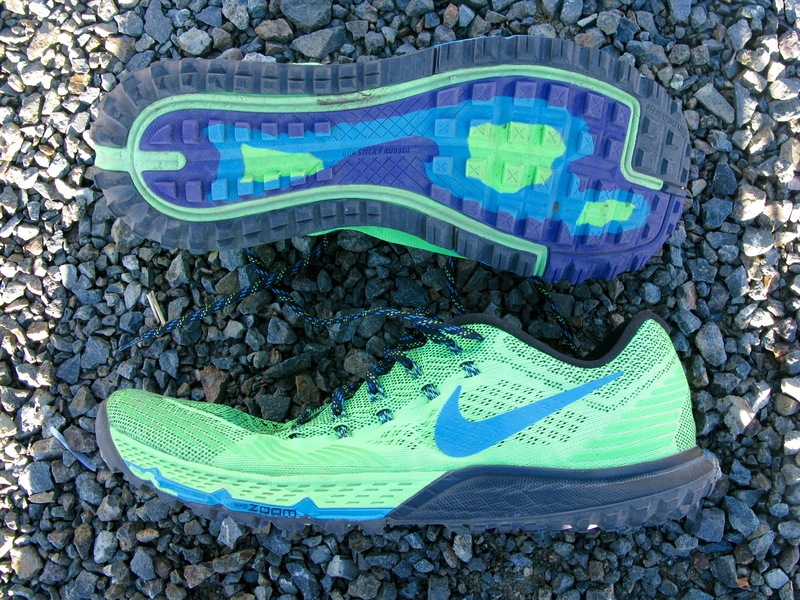 Many trail shoes could benefit from reducing lug depths (like the Nike Kiger 3), unless they are really aiming at a mountain or fell running type of shoe. Smart design, that, until Topo wants some more differentiation in their trail line, will serve the majority of trail runners well. In the end, I like the Topo Runventure, especially as a more minimalistic option to take on shorter runs where I want more ground feel. The shoe is a representation of Topo’s ability to significantly improve their shoes in just one development cycle, which is exciting to see. If they can do the same for a followup to the Runventure by evolving the midsole material and ride just a bit, they would have one of the best overall lightweight trail shoes out there. As it is, the upper is fantastic (a real highlight of the shoe) and the outsole is well done. The result is a shoe that provides a fairly precise, albeit firm and minimalistic ride, on a low drop platform with one of the better fits out there. The Topo Runventure is available for purchase at Amazon.com and Topoathletic.com. Never heard this brand at my country.. I would prefer deeper lugs for loose scree and mud. Also, the lining in the most part of the upper limits breathability. The upper around the toe area has no lining and is much more breathable. I agree that there might be some need to differentiate the Runventure a bit from the MT-2 which is a very similar weight with the same outsole, and deeper lugs might be a good way to do that. I actually like the extra lining for rougher terrain, but yes it is not as breathable. The MT-2 doesn’t have any lining at all and just a bit (3mm) more cushion. Should have a review up on it in the next few months. I’ve run in the Runventure. 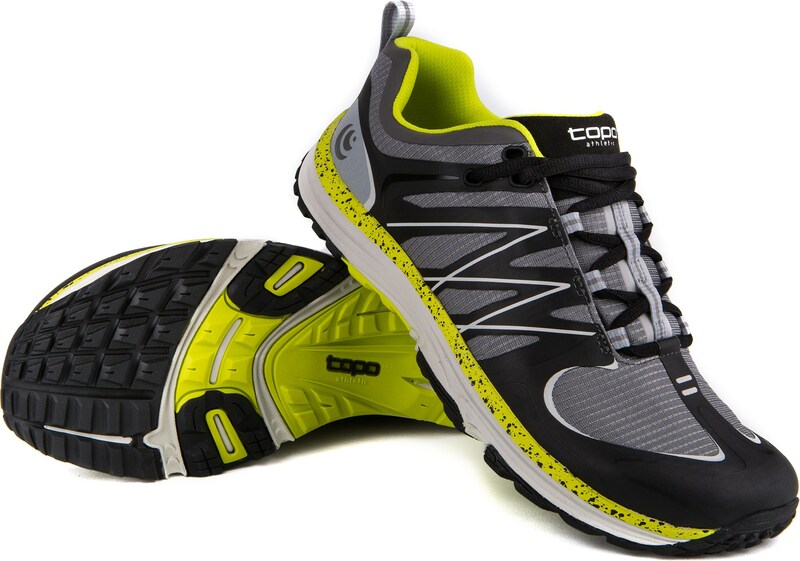 However I prefer the new MT-2 over it as a hybrid trail/road shoe. I am always looking for different shoes to try and I like the detailed review on these! I tried the M-st too but returned them with out running in them, I felt something in arch/heel that did not agree with me, reminded me of some of the Merrel shoes I have tried. Excellent. For me, there has to be these shoes to running or other exercise. I really appreciate this well-informed review. Loved much about my first pair of Topos (Runduro) but they broke down quickly and I am considering a trail shoe, since about half my running is in the woods. I’m also older and still transitioning to minimalist shoes so trying to choose wisely. This post was incredibly helpful. Thanks.